Somalia is headed in the right direction. But ‘right direction’ doesn’t mean a path free of pitfalls and clear of landmines. A new President who inspired renewed sense of optimism within the Somali people has been elected by the parliament. These words don’t just highlight what the Somali people should expect from their new leader, they underscore the litmus test by which the new President should be assessed. There is no “supremacy of law” without respect for the constitution, regardless of its shortcomings. “Somalia is open for business” was the last government’s motto or rather corrupted officials dog-whistle to usher in predatory capitalists and make certain corrupt officials and their international brokers very rich. The previous government has ignored the serious warnings that: such haphazard invitation without having institutions of checks and balances would prove economic suicide. 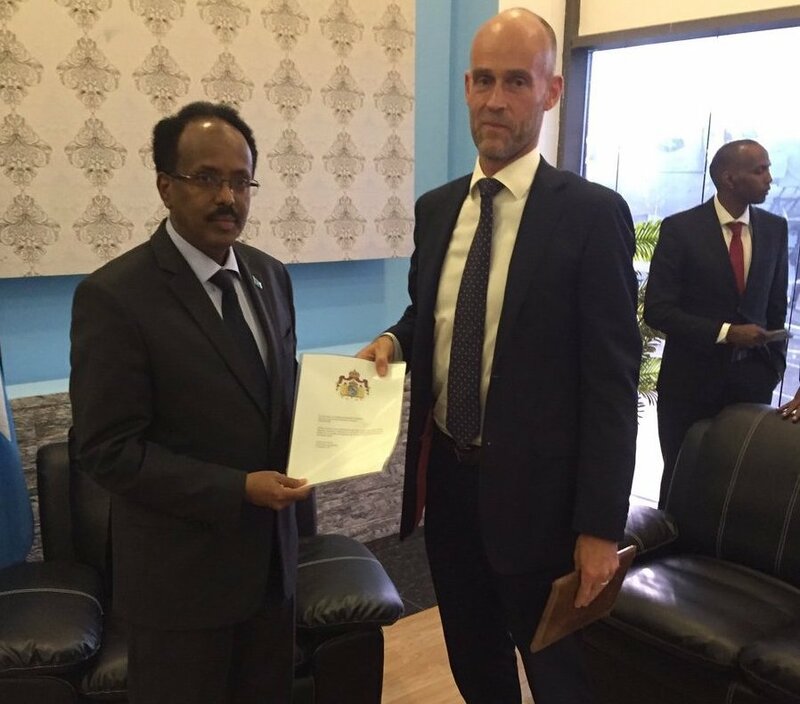 Now Somalia’s natural resources is wholly entrusted with a shadowy firm to explore, market and be granted exclusive rights to a number of lots. Never mind the fact that the constitution does not specify the demarcation of the federal-states or the distribution of natural resources. Somalia owes over $5 billion mostly to IMF and World Bank. And Kenya is claiming a legal right to part of Somalia waters.